The Youth Programme will be for those aged 14-25 approximately and will be facilitated by Knock Youth Ministry. 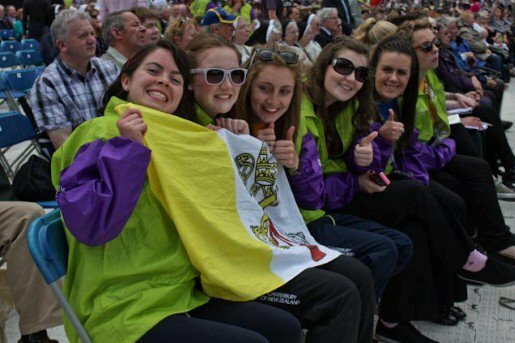 The youth programme will take place in a dedicated marquee and will include talks, testimony, music and prayer from 10.30am – 1.15pm & 5.30pm – 6.30pm on Saturday 26th September and from 10.30am – 1.15pm on Sunday 27th September. The youth will join with all Congress pilgrims for liturgy of the hours and Mass on both days in the Basilica. A concert of praise and worship, led by Elation Ministries, will take place in Knock Basilica at 8.30pm on Saturday 26th September which will be followed by sung night prayer and a Eucharistic Procession to the Blessed Sacrament Chapel where an all-night vigil will take place.